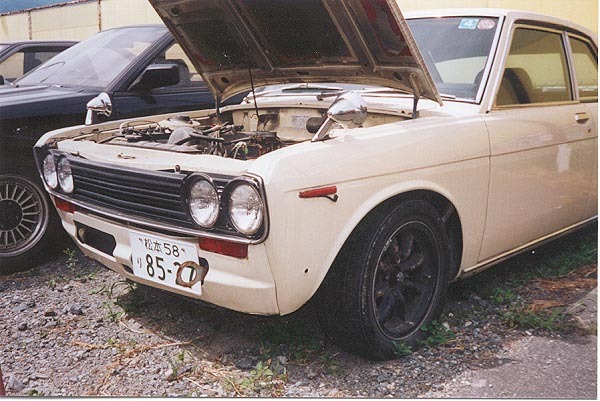 So I've wanted a 510 now for quite a number of years. I looked in the states for a while and then the military moved me to Okinawa, Japan. I've been looking off and on for a Bluebird since then, but have really started looking this past year. I've been watching cars come on the market, some leave, some stay, and some even change colors in hopes they sell. One particular car I had been watching always caught my eye. It wasn't complete so I was never too sure as trim pieces and interior items (seats) can be hard to very hard (aka the window trim) to find. After watching all these cars, I decided at it's price point I could buy it and the items to complete it and be within some imaginary budget in my head. After contacting them a few times over the past few months and looking into other cars and watching others sell, I decided to make the leap. I got a hold of a translator and had him start contacting them iron out the details. Some time off work aligned so I purchased tickets for the next morning, let them know I'd be there in 2 days, then embarked on my journey. So disappointed I left and stopped at a 7-Eleven just before getting back on the freeway (yes they have those here). I was rehashing the car, wanting to like it, but damn, it just wasn't worth the money and trouble it would bring. So my brain started turning thinking of the other cars I've seen and how this was THE ONE in my price range in the "right condition." 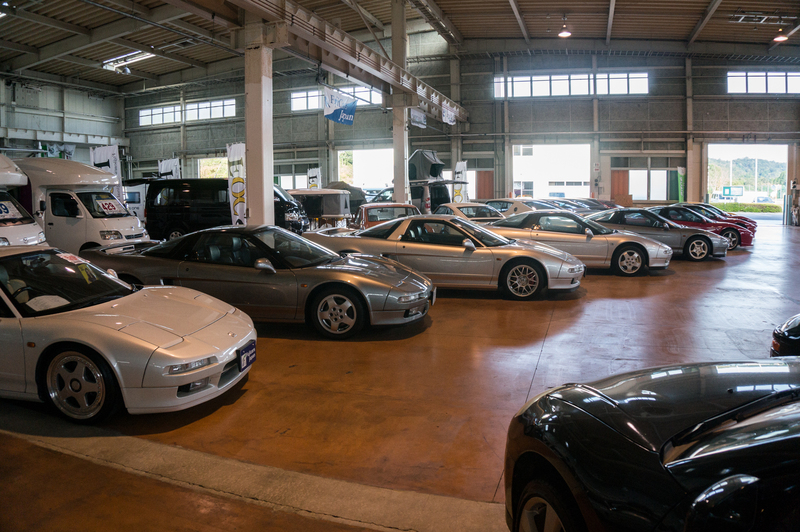 I remembered a few cars were at a dealership in Hiroshima. That place was 2 hours the opposite way from my hotel though. I rang the wife and she reaffirmed that I wasn't crazy and it made sense since I had already made the trip that far. So a quick search on the internet got me an address and I was on my way. After 2 more hours of driving, I arrived. The place has a pretty big online presence so you may have already seen the cars or even the dealership, but I was overwhelmed. NSXs, an R34, a Hokosuka GTR, Land Cruisers, Toyota Corollas, RX-7s, Supras, and all other types of vintage JDM (and non JDM) cars. Maybe I died in a car accident on the tollroad and went to heaven? I could have just looked around for hours, but I only had 2.5hrs or so before they closed and I had to be on the road to go back (another 4 hour drive) for my flight the next morning. 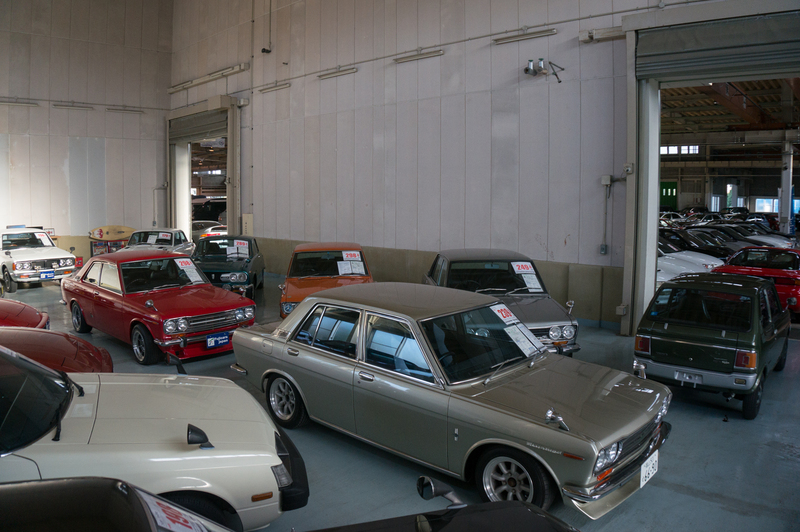 2.5 hours is normally a lot of time to look at a car, but using Google Translate to talk really slows things down and you essentially have to stand in one spot as each person types. I walked around and found the Bluebirds in a back area all huddled together. 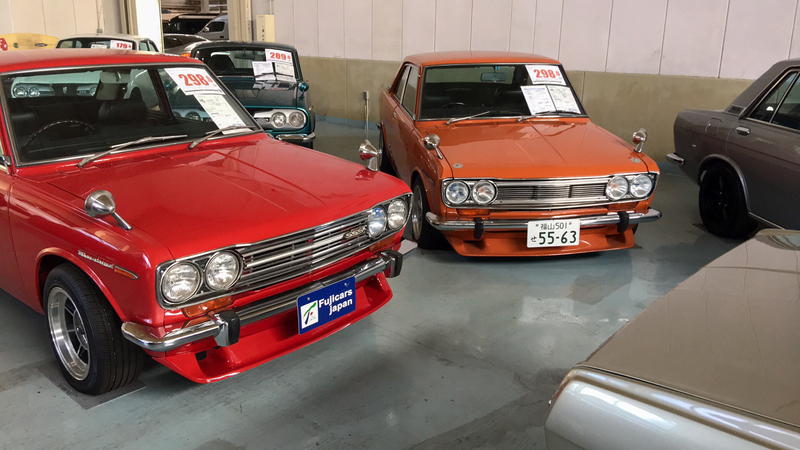 A red 1600 SSS Coupe, an orange 1800 SSS Coupe, a gold-silver colored 4dr DX, and a silver 1600SSS 4dr. It was quite amazing. I checked out the two Coupes, but spent 95% of my time checking out the 1800. I actually had dismissed that car because online I thought the orange was hideous. In person though, it looked the part. So now after being let down on the yellow 1800 I originally saw, I am considering this 1800. It has it's problems, after looking for this long I think they all do. However, all the parts of the car are there (minus the grill badge, but I can locate that or have one made). I am now contemplating if I want to spend that kind of money and if it's worth it for what defects I did notice, most of which I can fix myself with minimal money. Who knows, maybe I'll end up flying back up there in the coming weeks to be sure. I did learn a few things from this trip. I will never buy a classic car or maybe even any car by looking at online pictures. I knew they weren't 100% representative before this excursion, but I was completely surprised at the stark contrast between what I saw at home and what I saw at the first dealership. Also, if you are paying someone to find you a good car, verify it's condition, and then ship it; make sure you trust them. I guess that really goes unsaid. I also learned gas off base is ~$4.40/g and tolls are EXPENSIVE. My toll coming back from Hiroshima to Osaka was $58, then in Osaka I had to take another toll road for $10; almost $70 in tolls just to drive back to my hotel! Well thanks for reading my story anyway. Maybe in a few weeks I can post up pictures and say it's mine or in a few months or a year I'll own a different one, but I look forward to being in the group. Thank you for sharing your stories on your cars. I really enjoy reading the builds and the general threads, I've learned a lot from this board and it's helped me in searching for a car of my own. Also, thanks to Okayfine who has answered a few PMs I've sent him regarding previous cars. I'm still deciding if I want to put up a "is this car worth this money" post about the 1800; part of me wants to know what you all think, and part of me just wants to buy it and live life (I don't think it would be the worst investment by any means). Great adventure! Glad you got to see stuff and understand what's what, and that you didn't buy a car sight-unseen. Apparently there are still cars to be had, which is great news; having choice is good. But, yes, generally cars of this vintage will all have issues major or minor. Interesting to see what classic dealership looks like over there, thanks for posting up. Curious what the red window stickers are showing? Great story, I often check the classifieds to see what the market is doing and have seen all those come up and have day dreamed about getting another Coupe. I purchased mine unseen with 4 poor quality pictures from a car dismantler. Yes it has rust in all the usual locations, but it's a lot better than what I was expecting. Looking forward to more updates, take your camera and document the journey. Love reading about stuff like this. gooned wrote: Interesting to see what classic dealership looks like over there, thanks for posting up. Curious what the red window stickers are showing? I would say that would include the taxes on most of them as well. The prices have stayed consistent when looking at the Yen prices, but when considering exchange rates have gone up with the value of the Yen. As far as Land Cruisers, this is the only pic I took of one. 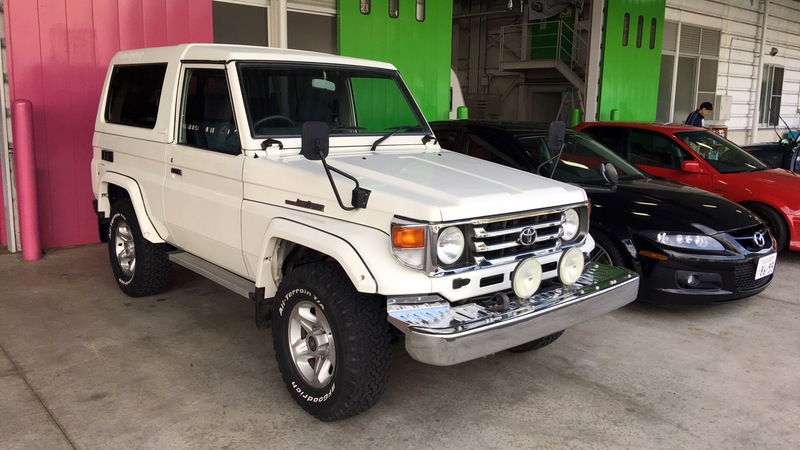 I was looking at these previously, albeit briefly, as they are a little more affordable and rare in the states as well if you get a 70 series. I decided I would enjoy a 510 more in the long run though. Oh yeah, premium pricing for sure. Thanks for posting up the cruiser...way newer than I thought. No kidding. Nine years ago (nine? Jesus!) 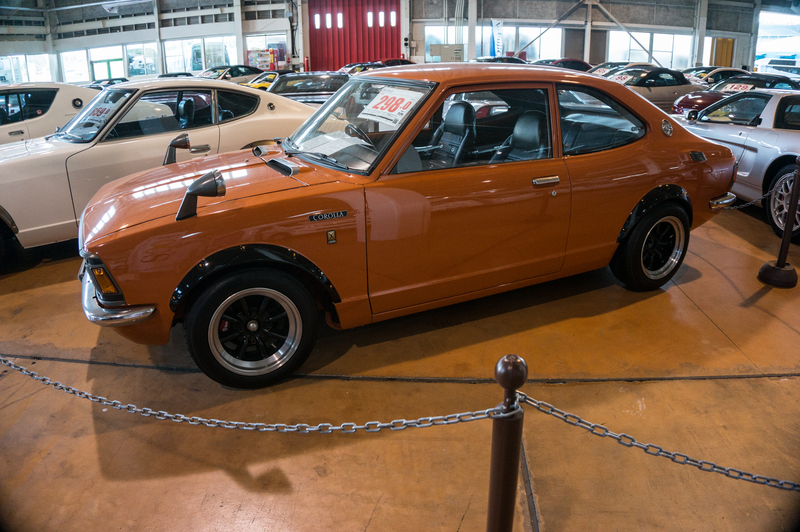 I got a VGC four-door Bluebird landed in the US for $6500. okayfine wrote: No kidding. Nine years ago (nine? Jesus!) I got a VGC four-door Bluebird landed in the US for $6500. Wow, the market is nothing like that now unfortunately Here's an auction for a $6500 car. A starting to be rusty DX with a motor that doesn't start at a minimum or won't run (not really clear with Google Translate). Yeah, when I sold it, I kinda figured I'd never be able to afford another nice one. First off-- great report. Been there, done that. 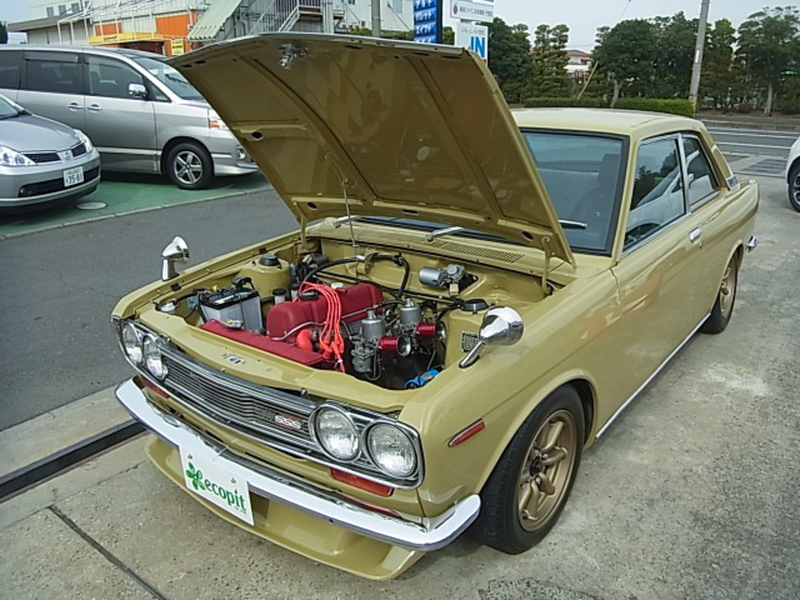 Trying to buy a car in Japan (especially a 510) is a difficult task indeed. 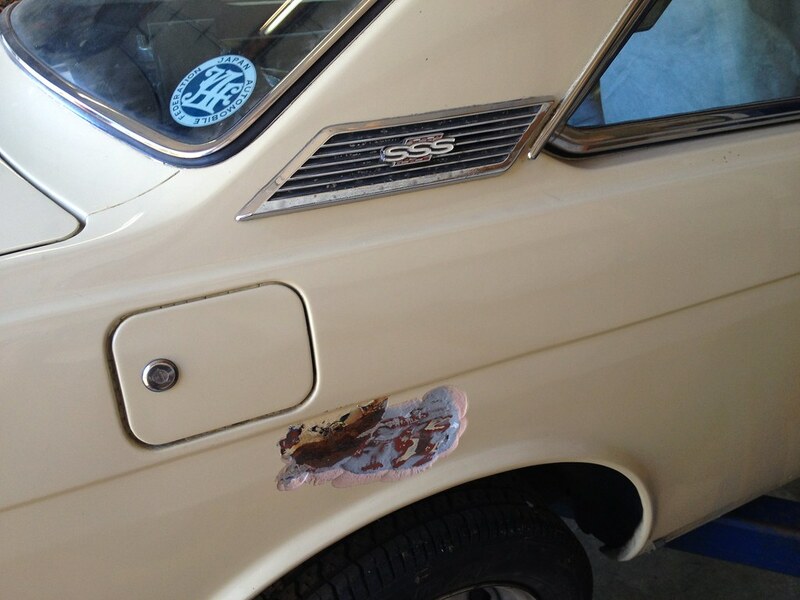 You identified the common issues that you see (rust covered with bondo), and quick and nasty repairs to keep the cars road legal. Many just suffer from not being driven, so they basically need everything. Spriso, that is a nice looking car still and nothing a body shop can't fix with some love and care. That color is one of my favorites too. My search started with a car that color. I contacted the dealer, let it sit for a few months, came to the resolve to buy it and it disappeared literally when I was going to call. I guess I can take that as an omen. On a side note, my biggest fear with bringing one back to the states and while driving it reverting back to driving on the left side of the road and getting in an accident. I did see that article and it's been a great source of info, so thanks to you and Julian for writing it. It's been especially helpful with the trim information found in it. I shudder at the thought of what cars I would have bought with missing items if I hadn't seen that article. The biggest struggle now is figuring out prices. I think I have a good grasp on what the market is like in Japan, but cannot figure out the US market. Cars are so infrequently sold and the ones I find are from when the Yen was low. I'm not even sure if Yen rate plays a factor in cars already imported, my thought is probably not. In the end I guess I'll just write it off as a personal interest and forget about the purchase price. How was registering in the US? Did you have any problems with that or was it difficult? Do you have any advice? The shipping and import papers portion will be taken care of for me by the military, but the registration will be in my hands. Prices are all over the place-- good cars bring good money, and then there is everything in-between. Never a good sign when you can see the rust bubbles on the lower part of the front fender and I suspect that there are holes under that sticker on the quarter panel where the trunk floor meets the outer skin of the car-- but it does give you an idea of what some people ask for cars over here. Registering the cars here is easy as it is over 25-years old. 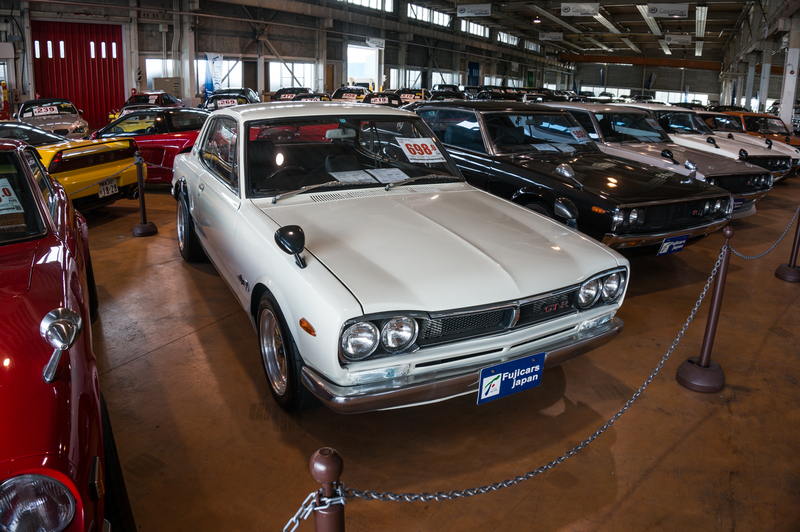 You need to have the Japanese registration effacement certificate (basically a title erasing the car from the Japanese registration system), a HS-7 form from the DOT, and any additional paperwork that your broker provides. When I have gone to the DMV, I have provided a translated copy of the Japanese effacement certificate, and it is then just a matter of a VIN verification and paying the fees. How much was it going for? It looks like the ad is already pulled. I'm glad to hear the registration process isn't too much to worry about. Thanks for that information. Well, it looks like I'll be heading up to mainland this weekend again. My translator is calling on a car that looks promising; don't they all though? We'll see if it's available still and if they will allow a hold on it until I can fly up next weekend. If not, there's another car I'd like to see in mainland as well. After these two t I think I'll have a good idea on which one to buy, if any. It will be interesting to see what he does to it and what secrets it has to reveal . Wow, awesome to see. That car went super fast. The ad was gone before I even got to click on it.